In our continuous effort to inform, educate and train aquaculture practitioners on the new generation Blue Economy Tools for aquaculture, the aquaManager team organized and participated in yet another training course. Organized under the framework of BlueBRIDGE Horizon 2020 project, the course was held at the Department of Ichthyology & Aquatic Environment (DIAE) of University of Thessaly on Wednesday on 13 December 2017. 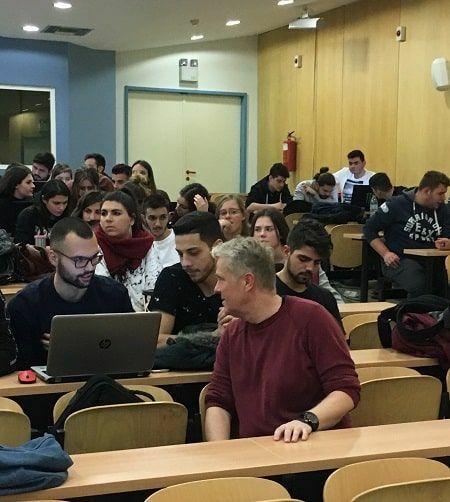 The course was a follow-up to the very successful previous one, held at the Department of Fisheries – Aquaculture of the TEI of Western Greece on 14th of November. 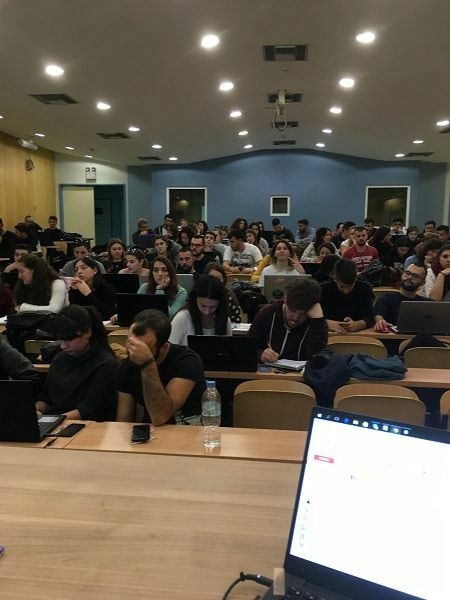 Gerasimos Antzoulatos (Data Analyst of the aquaManager team) and Eleni Petra (Researcher at the University of Athens) assisted more than 100 trainees in experimenting with preprocessing production data, creating Machine Learning models, assessing production plans and performing techno-economic analysis. In addition, they had the opportunity to evaluate their virtual fish farm performance, in terms of vital aquaculture indicators, and benchmark this performance against the competition. Following the warm and enthusiastic response for all the courses that have been organized so far, more BlueBRIDGE meetings will be scheduled in the coming year.